Early the next morning, we headed west from our lovely resort, to the spectacular Ngilgi Cave, which is located just next to the charming town of Yallingup. We had previously communicated via email with the Geographe Bay Tourism Association, and they had kindly offered us free entry to this spectacular site. The gorgeous rock formations of the Ngilgi Cave. 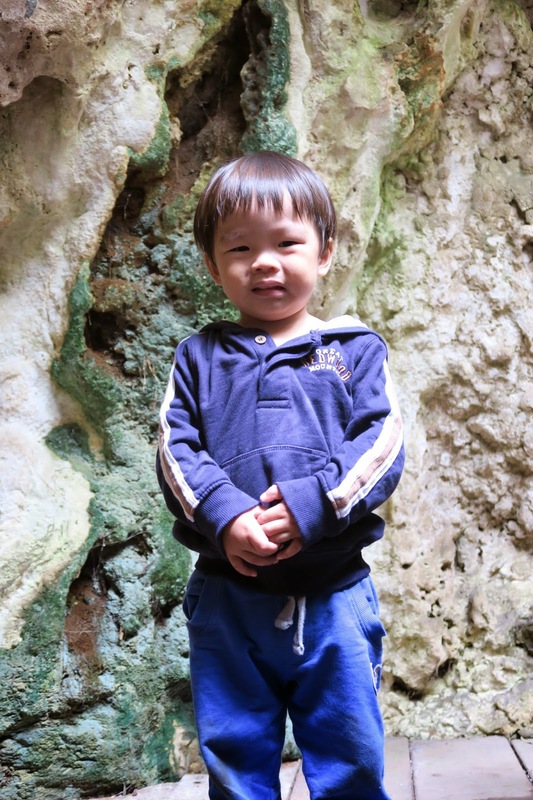 Our little 4yo Z all excited to explore the cave. Underneath the limestone ridge that forms Cape Naturaliste lies Ngilgi Cave Dunsborough (formerly called Yallingup Cave) offering a fascinating combination of nature and Aboriginal legend. Situated off the famous Caves Road, the cave is a short drive north of the town of Yallingup. Ngilgi Cave Dunsborough was given this name due to its connection to an impressive Aboriginal legend illustrating the clash between Wolgine (an evil spirit) and Ngilgi (a good spirit) who eventually triumphed and took control of the cave. Murals on the outside of the cave tell the story of that epic battle between Wolgine and Ngilgi. Ngilgi Cave Dunsborough was discovered in the year 1899 by Edward Dawson while trying to find stray horses. He served as a guide to the cave from 1900 to 1937. 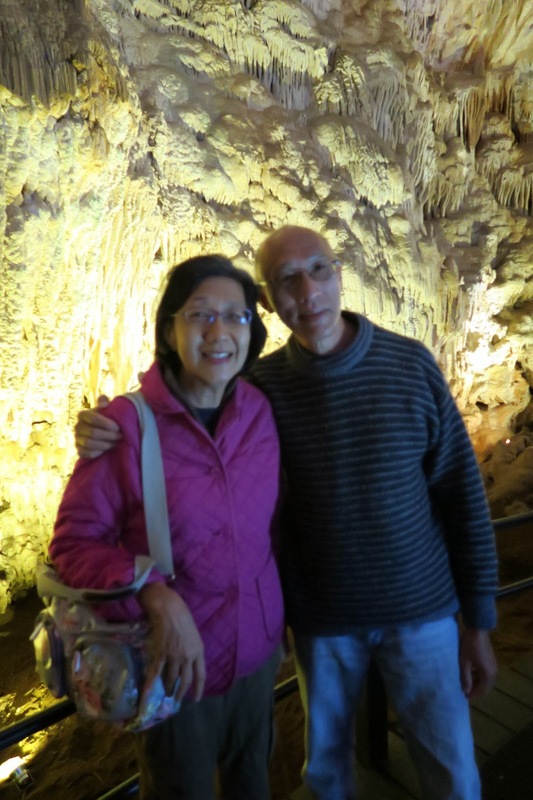 Today, Ngilgi Cave Dunsborough is one of the most popular tourist attractions in the region. 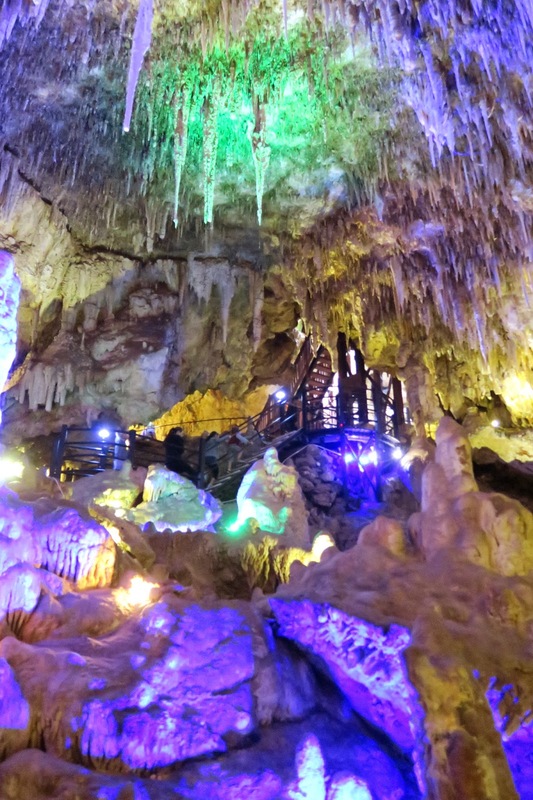 It boasts an impressive display of shawl, helicitite, stalagmite and stalactite formations in addition to an interpretive center detailing the rich history of the cave. Dating back around 50,000 years, Ngilgi Cave Dunsborough is a stream cave that has developed gradually through the movement of the water. In the year 1903, Ngilgi Cave Dunsborough became Western Australia’s first cave to have electric lighting installed. The cave has served as the site of two international cave sitting records and countless wedding receptions. It is also thought that Dame Nellie Melba delivered a concert here before she became an internationally renowned opera singer. Ngilgi Cave Dunsborough appeals to people of all ages and backgrounds. The best time to visit the cave is when it is pitch dark. The pathways are easy to navigate and boarded, and most people are surprised over how deep this cave is. 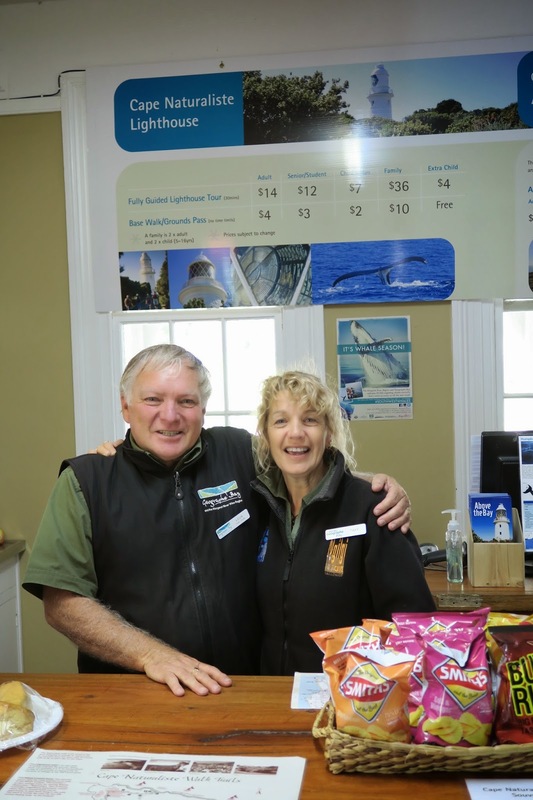 Nowadays, visitors to the cave can take semi guided tours and enjoy a variety of other experiences which include awesome torchlight tours and adventure café. Looking back, our visit to the Ngilgi Cave was one of our most remarkable one-and-a-half-hour experiences ever! Imagine being immersed in a world that was created more than 50,000 years ago! Enter Ngilgi Cave, a world of stalactites and stalagmites. The enormity of the cave is a bewilderment to the senses. One can only imagine what the first explorers must have felt! 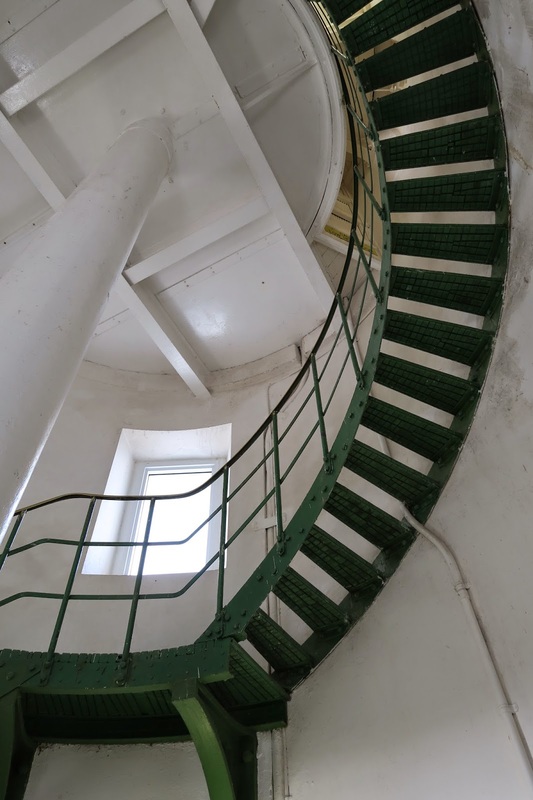 the numerous flights of stairs. And this is the spectacular sight that greets you! 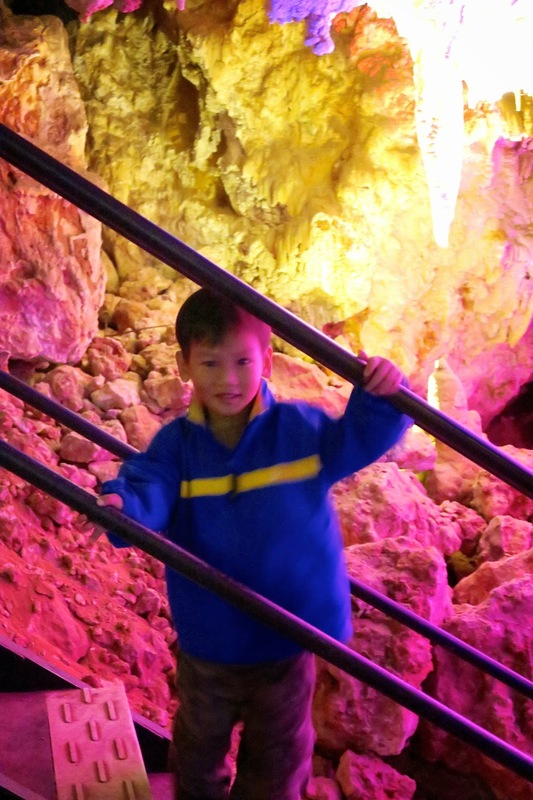 The caverns are aglow with lovely coloured lights which add magic to the experience. Many of the rock formations were simply dazzling to the eye. It is mind-blowing to think that these formations were created over hundreds of thousands of years ago. 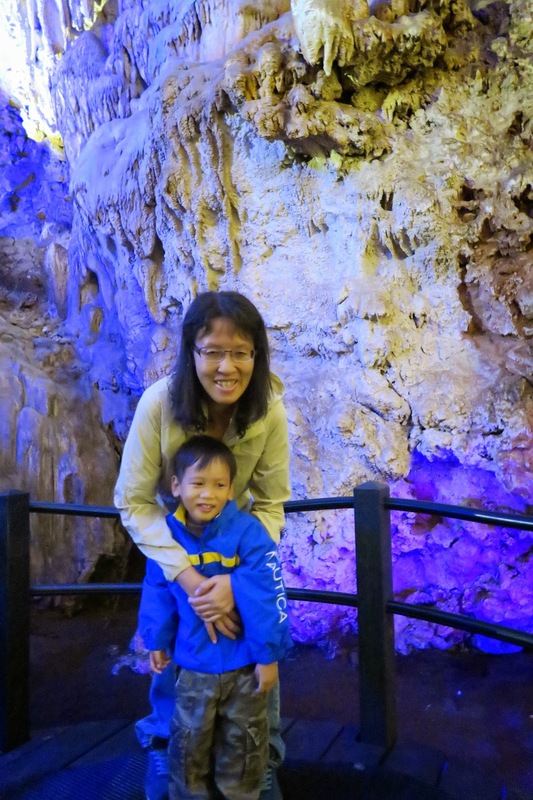 It was a wonderful experience for both boys, who are real cave explorers. Sue's parents had a great time too! We were simply in awe at the spectacular colours. beaming away and waiting for Daddy and Kor Kor to complete their explorations. He walked most of the way on his own too! After a tiring walk, it was time to head for lunch. 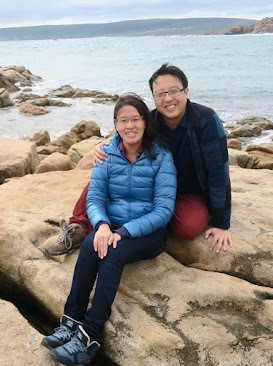 We chose one of the eateries on the main Dunsborough Road, Clancy's Fish Pub, and were more than pleasantly surprised by what we encountered! For starters, we were instantly rewarded by the cosy ambience of the place. What's more - there was a lovely play area for the kids - parents' saving grace during a long road trip. Clancy's is a welcome sight for any traveller with its cosy ambience and friendly service. The on-site brewery provides much respite to the thirsty traveller, with many of the region's famous beers available on tap. Many families choose Clancy's as their location of preference for a leisurely Sunday lunch. The lovely play area which warmly welcomes children from all around the world. 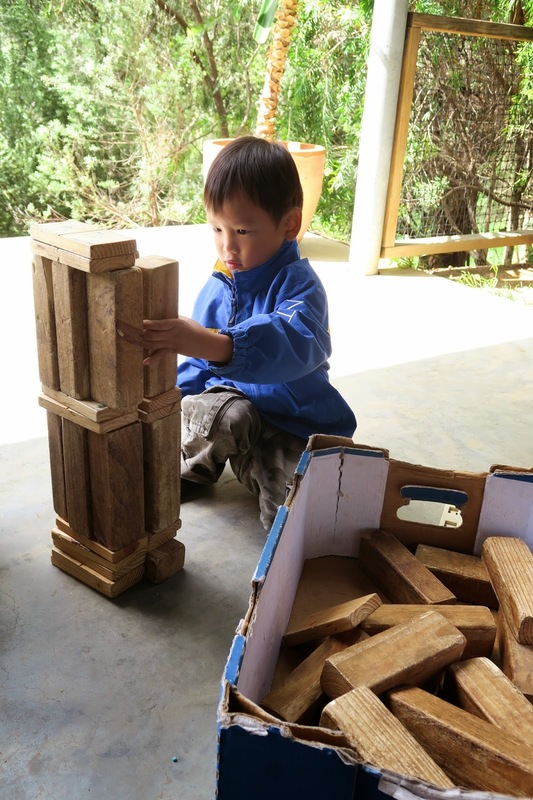 We loved the simplicity of the play materials. The seafood platter was an excellent choice, oozing with the fresh flavours of the sea. Most enjoyable! One of the best seafood paella dishes I have ever had! The seafood flavour permeated the dish. For the kids. Grilled fish and chips. Quite a sizeable portion for the little ones. And we couldn't resist an artistic shot of our favourite food! The family was extremely satisfied with our food choices and the relaxed ambience of the place. Even our in-laws felt a little romantic there with the good food and great service! One for the road. We will be back! When we drove into Clancy's, we would hardly have imagined how much we would love the place. The food was a far cry from the other fish and chips place we had visited - Cicerello's in Fremantle, which we were honestly disappointed with. 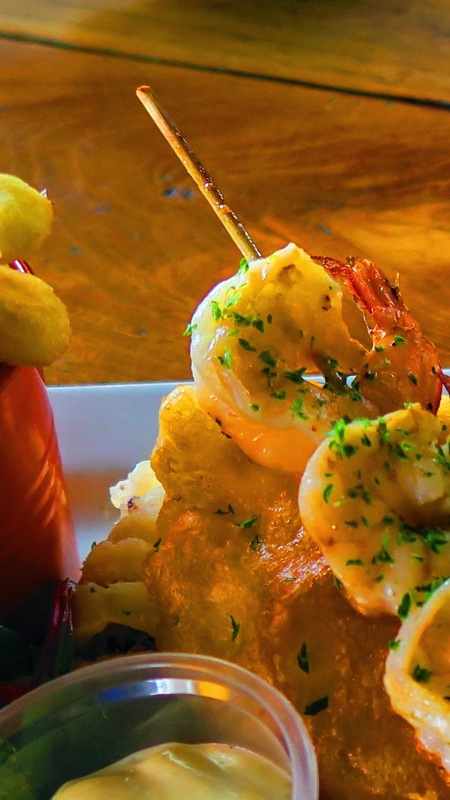 In our opinion, Clancy's is an excellent choice if you're a fan of all things seafood. It beats Cicerello's in all aspects - food (and beverage) quality, ambience, child friendliness and service quality! 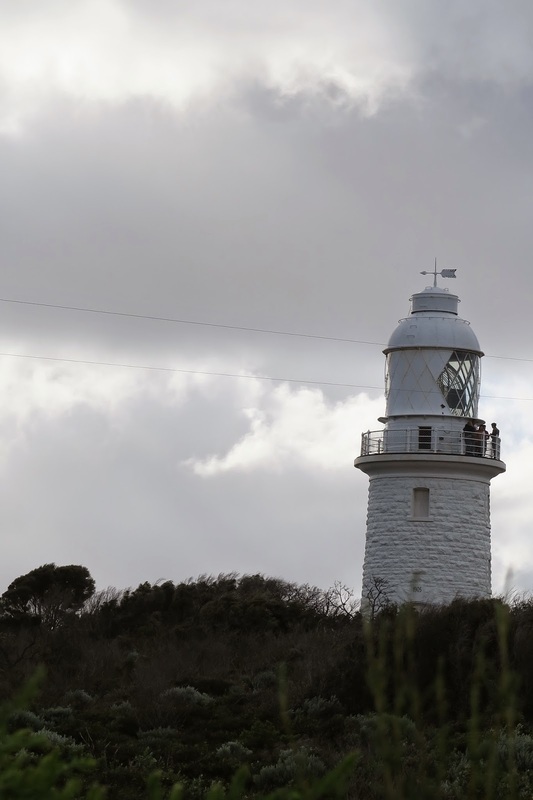 Easier than most lighthouses to climb, the Cape Naturaliste Lighthouse is one of the most popular attractions in the Geographe Bay and Margaret River Wine region. 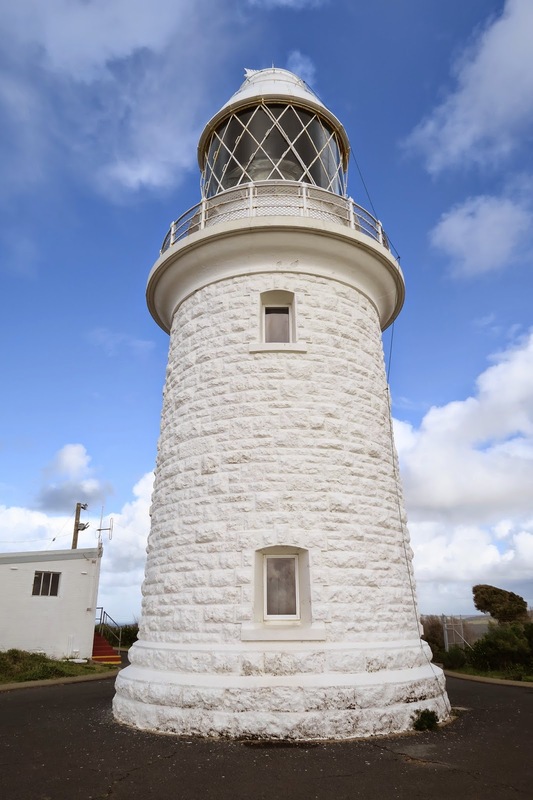 Built from limestone quarried from nearby Bunker Bay, at its highest point the lighthouse is 123 metres above sea level. Numerous walking trails lead from the Lighthouse around the stunning bays and beaches of the Cape, providing amazing views over the ocean and of the local wildflowers. A platform and shelter provides magnificent whale watching during the annual migratory periods, from September to December - a special experience not to be missed! The winds were howling when we arrived at the little lighthouse nestled at the tip of the Indian Ocean. Braving the fierce gales, we made a dash into the magnificent building that had saved many ships from the raging storms. We were fortunate to be able to catch the second last tour of the day, and were amazed by the depth of knowledge displayed by our guide. 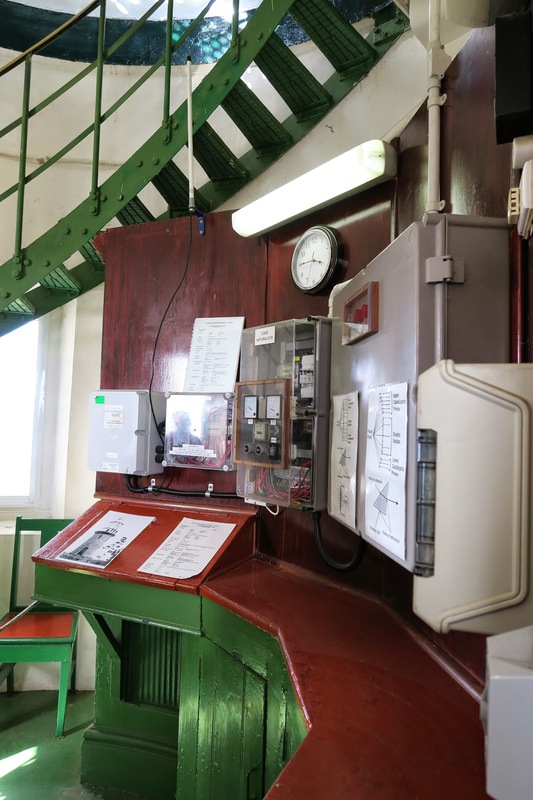 Built in 1903, this magnificent lighthouse still sends out warning signals to ships today. near our resort that evening! at all times of the night, no matter the weather conditions. 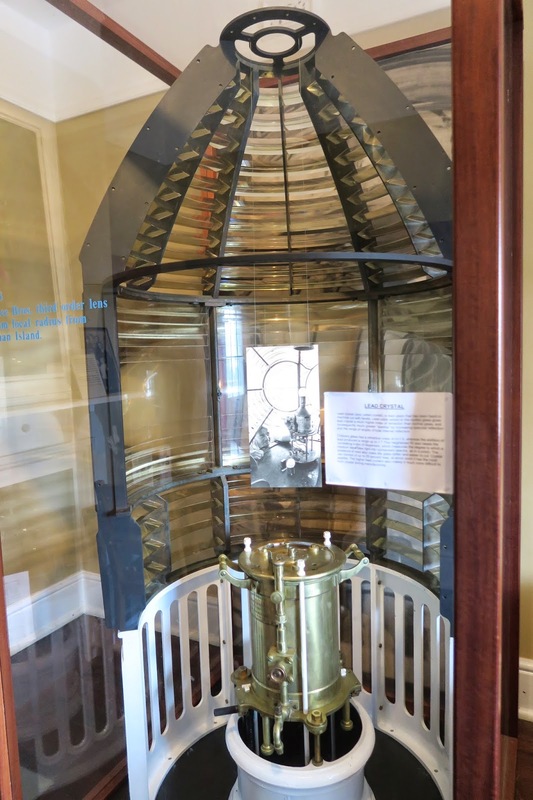 The original Fresnel lens was installed in 1904 and is still operational today. Walking up the 123 metres to the top. Lighthouse keepers had to recognise the different flags flown by the passing ships. 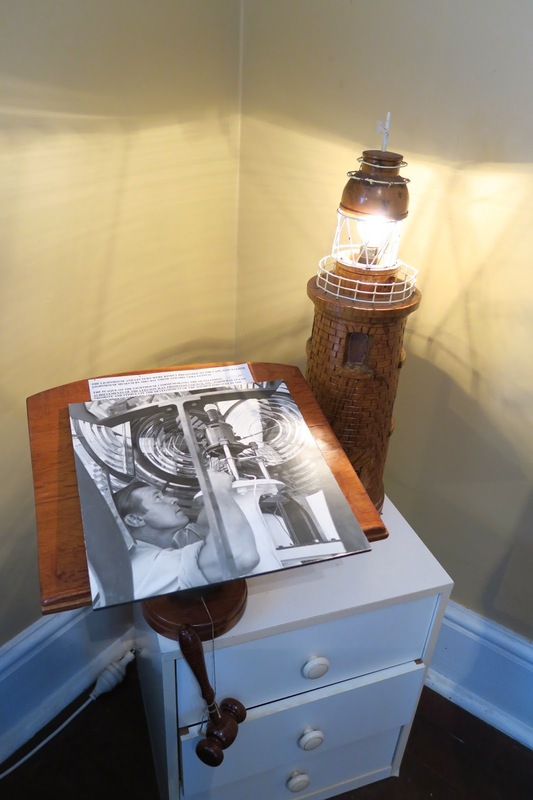 except a simple chair - to prevent lighthouse keepers from falling asleep while on shift. Our brave 2yo E was dauntless as he walked by himself all the way to the top. The gorgeous view from the top of the lighthouse. The winds were so strong we had to cling on tight to avoid being blown away. The view from the other end of the lighthouse. The winds were so strong that our children were not allowed up there. Modern day "lighthouse keepers" Leon and Tasy. 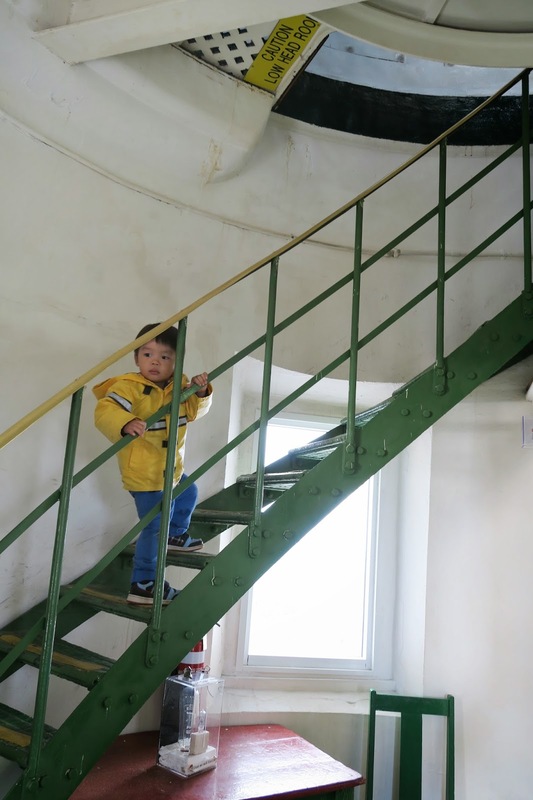 While the lighthouse may not be the tallest, it is certainly one of the grandest. 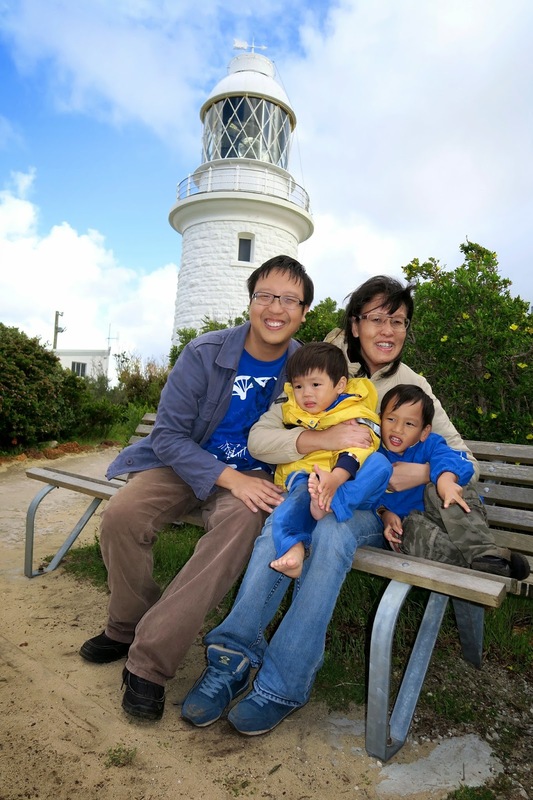 The Lim Family enjoying a moment. Sundown at the Cape Naturaliste Lighthouse. Enjoying the spectacular scenery from the cape. The winds were so strong we almost felt we were being blown away by them! With the glowing sun in our faces and the howling winds at our backs, we bid farewell to the lovely Cape Naturaliste. Although we were sad that the day had come to an end, we know that we had experienced the best that nature had to provide. Click here to book your own tours for the Ngilgi Cave. 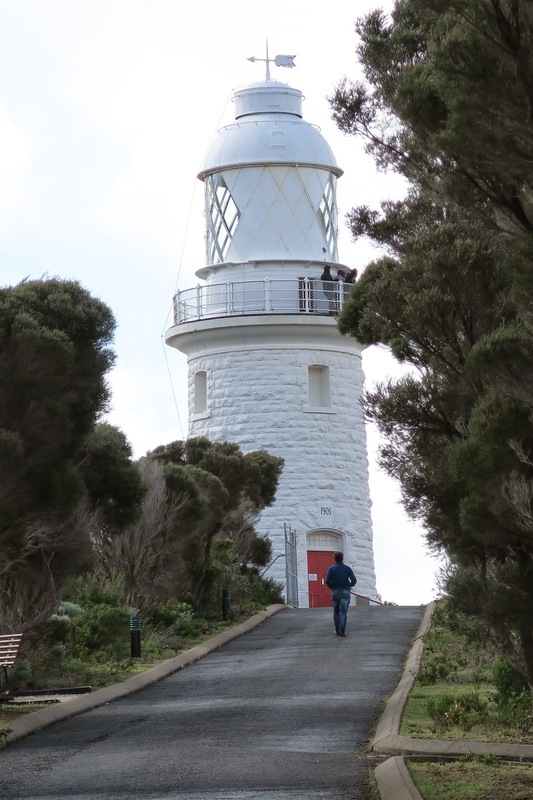 You can book a tour at the Cape Naturaliste Lighthouse here. Hungry? Clancy's Fish Pub menu can be found here. Previously: Fishing at the Busselton Jetty. Next: Swimming with the dolphins at Burnbury. Note: This is a review arranged between the Geographe Bay Tourism Association and Parenting on Purpose. 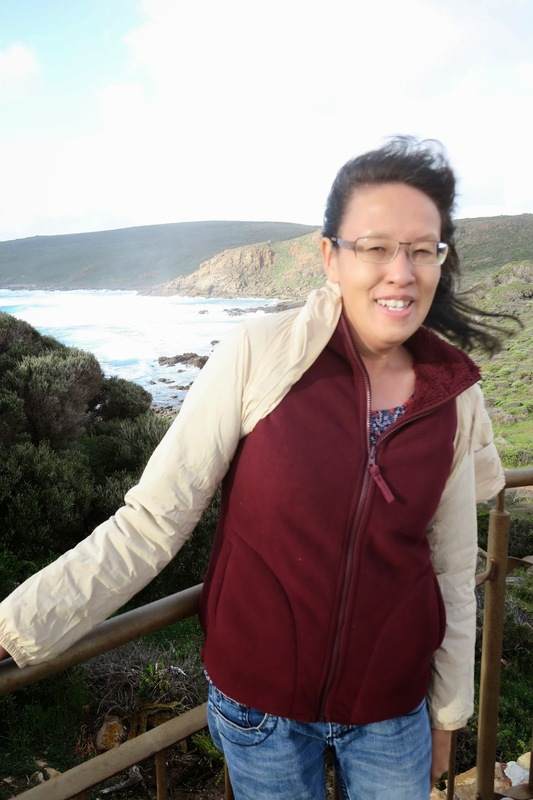 We received complimentary tickets to the Ngilgi Cave and the Cape Naturaliste Lighthouse for the purpose of writing this review. All opinions expressed here are our own.